It’s that time of year again! Christmas is almost here and we’ve been creating fun holiday crafts for the classroom. 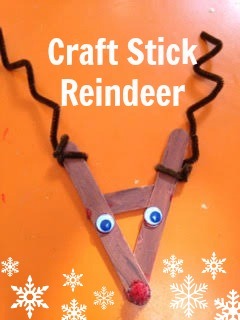 The Craft Stick Reindeer is a popular holiday craft that requires very little prep work and uses materials that you may already have in the classroom. 1. Paint the craft sticks brown. 2. Once the paint is dry, glue the two long sticks together to make a V.
3. Glue on the half stick to make an upside down A. 4. Glue on the two wiggly eyes and the pompon for the nose. 5. Attach a pipe cleaner on both ends of the upside down A. • Instead of using craft sticks, you could make the reindeer out of small twigs. • Turn your craft stick reindeer into a Christmas ornament by tying brown yarn where the sticks meet and tie a bow at the top. 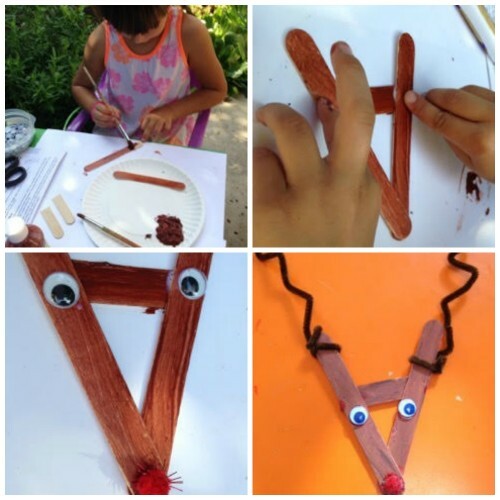 • If you would like your craft stick reindeer to have a body, cut an oval and two short legs (one in front, and one in back) from a brown paper bag or brown construction paper. To see the Craft Stick Reindeer activity and more classroom crafts, see the Art for All Seasons E-book.